The Top-Restaurants for most romantic wedding dinners in Venice – Our selection of top-restaurants from typical Venetian cuisine to one of the city’s most exclusive spots, there’s something to suit every taste. Romantic, unique, magical – Venice, the city of love, is the perfect place for a dream wedding in Italy. 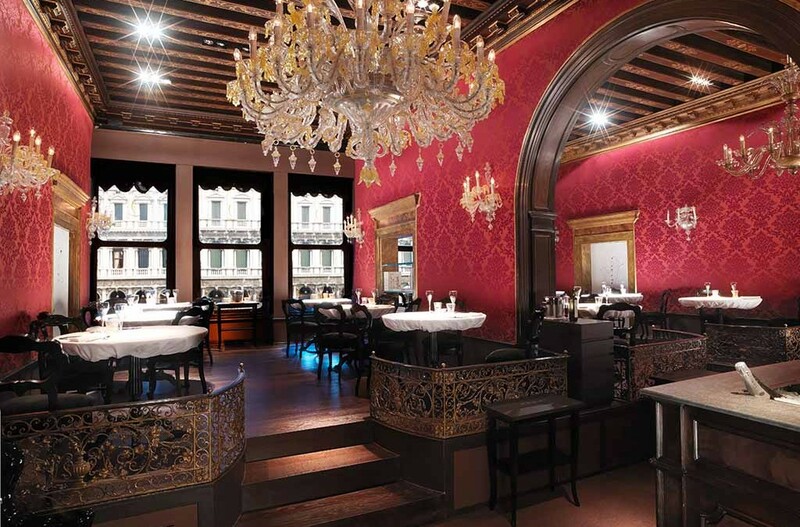 Of course, what Venetian wedding would be complete without a delicious meal in a chic Italian restaurant? That’s why we’re introducing you to some of the top recommended restaurants for a wedding dinner in Venice. From typical Venetian cuisine in a great restaurant with a stunning view of the Canale Grande to one of the city’s most exclusive spots, there’s something to suit every taste. Ristorante Quadri is centrally located and offers great views across the famous Piazza San Marco. Here, in this exclusive atmosphere, you can enjoy your wedding meal to the fullest. This stylish restaurant has lots of special charms and boasts a tastefully designed interior. The menu is full of modern twists on classic dishes, all made from top-quality ingredients, and the wine list is superb, not to mention the first-class service. In the evening especially, getting a table by the window overlooking the Piazza is an absolute highlight. Ristorante Quadri is the perfect choice for those who want an exclusive wedding dinner with a timeless ambience. Mario alla Fava can be found just near the Rialto Bridge and is our absolute favourite for typical Venetian cuisine. It offers delicious regional dishes, a wide selection of wine and a cosy atmosphere. Perfect for newlyweds who want to round off their special day in Venice with a visit to a traditional Venetian restaurant. For those with thoroughly modern tastes, we recommend Antinoo’s Restaurant & Lounge. 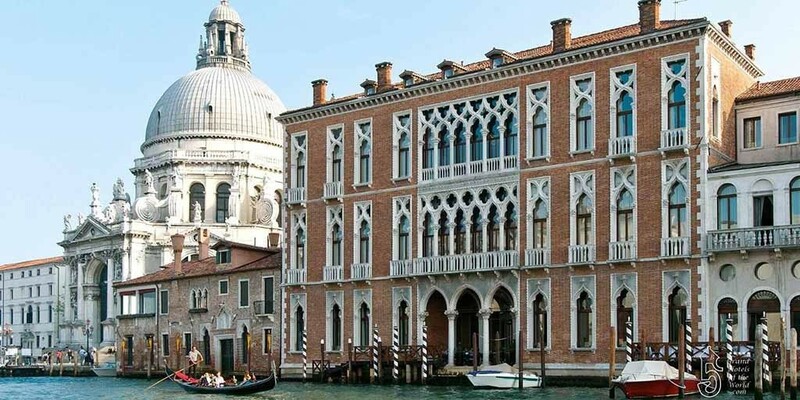 The restaurant is in the 5-star Centurion Palace Hotel, a former monastery, right on the Canale Grande. It combines delicious Italian food with excellent modern design and great attention to detail. The large windows offer a superb view over the Grand Canal and it’s one of the best seats in the house. A great choice for those looking for something truly special.